Do you want to buy wine? Winefield’s organizes eight large wine auctions every year, and part of our sales take place online. If you honor us with a visit during one of our physical auctions, you will have the opportunity to taste a selection of the wines in our pre-tasting. We make it known as soon as possible which wines will be opened. All wines are inspected by our appraisers and described as carefully as possible in the catalogue, but if you are unable to be our guest during an auction, we cordially invite you to make an appointment to visit our cellars in Amsterdam to view the lots you are interested in. You can then submit bids in different ways before, during and after our auctions. Below we will explain what the possibilities are. How can I make a bid? We advise everyone to physically attend the auction, because the tension of a live auction is incomparable. Our wine auctions always start 11 o’clock on Sunday mornings. You are already welcome at the pre-tasting from 10:30 am. When you have arrived at our auction location you can receive your bid number from the bidding registration; we ask for a valid proof of identity to be able to register you. Our wine experts are present and are happy to give advice, so that you can decide which lots you want to bid on. If you want to bid during the auction, raise your bidding paddle so that it is visible to the auctioneer. The lot goes to the highest bidder. 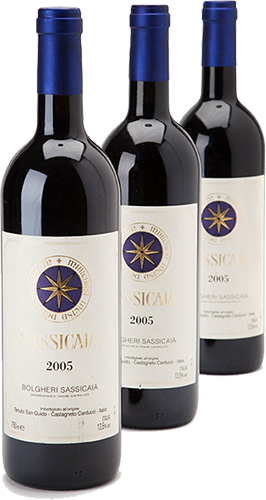 Many of the wines we offer are already a bit older, and sometimes you can notice that by the condition of the bottle. Not every old wine is the same. That is why we describe all the bottles in the catalogue. We use abbreviations to describe the filling of the bottle, the condition of the label, the condition of the cork, the packaging and bottling. These abbreviations are described at the back of the catalogue, so that you can form a complete picture of the state of the bottles. Despite our efforts, sometimes there may be some discrepancies. These are called sales room notices and are read by the auctioneer during the auction. After the auction we ask you to return your bidding paddle to our administration. All prices are exclusive of a 20% buyer’s premium (22% for internet bidders). After paying your invoice, you can immediately take the wine with you. You can pay with cash or by PIN. If you pay by bank, we can release your lots as soon as we receive the payment. Purchases must be paid and collected within 5 days after the auction. Both our wine auctions in Amsterdam and Singapre can be followed live online. You see our auctioneers in action and can bid against the room or other online buyers with a simple click of a button. This offers you the opportunity to participate in our international auctions anywhere in the world. If you want to participate in the wine auction through our online auction platform, you must register in advance. Registration takes only a few minutes. We recommend that you register in time so that you are not too late to bid on your choice of wines. When the auction has been completed, you will receive an invoice for the lots you have purchased. The invoice is the hammer price plus 22% auction costs. After payment you can pick up the wines at our cellar, or you can contact us to discuss the transport of the wines to your location. If anything is unclear about the platform, you can contact the technical department of the bidding platform Auction Mobility or of course with us. We are happy to answer your questions. If you do not have the opportunity to bid in the room or online during our auctions, you can also let us know in advance which lots you are interested in. You indicate what your maximum price is and our auctioneer will accept your bids as if you were in the room. Winefield’s will try to purchase the desired lot in the auction for the lowest price possible, of course taking your maximum bid into account. If we receive several equal bids for the same lot, the lot will be sold to the buyer whose bid we received first. If the other bidders offer less than you, you will receive the lot one step above the highest bid. Depending on the interest of other written bidders and the reactions from the room and online, you can get the wine for less than your maximum bid. Our notary checks all bids to ensure fair allocation. You can also download a bid form and send it signed by post or fax. We need your bids signed by the Friday before the auction starts. Winefield’s Auctioneers is not liable for bids that have not been received in time or in good order. In addition to a digital form, you will also find the bid form at the back of the catalog. Fast and easy bidding via our online bid form. Winefield’s will try to purchase the desired lot in the auction for the lowest possible price, of course with due regard for your maximum bid. There is nothing like the atmosphere in the auction room itself. If you cannot physically attend the auction but want to fully experience the mood in the room, you can also bid by phone. One of our employees is your eyes and ears in the room during the auction and makes an offer on your behalf at the time of your choice. To make sure that an employee is available, let us know which lots you are interested in at least 48 hours before the auction. You will find a time schedule at the front of the catalogue so you can roughly estimate when those lots are being auctioned. Each auction, however, has its own pace, so we will call you a number of lots before your particular lot has reached its turn. Our employees assist you during bidding and do their utmost to meet your needs, but it is ultimately your bid and responsibility. So it is really almost the same as sitting in the room yourself. Sometimes a consigner gives us a minimum price that is not met in the auction, or sometimes while emptying a cellar just before the auction we find some extra boxes, which do not want to wait until the next auction. We therefore offer our consigners the opportunity to re-offer their wines in an online aftersales. If you are registered with us for the newsletter, you will receive an invitation in the week after the auction to participate in the aftersales. So make sure you sign up with us to not miss this offer.